This was a very interesting read by Slate Senior Editor, Emily Bazelon. She also writes for the New York Times Magazine and is a research scholar at the Yale Law School. She has done a lot of research for this book and really gives a thorough and realistic view of the topic of bullying the modern teenage social dynamics. If you are going to read one book on the topic this is it. I will certainly be thinking the ideas and opinions she brings up in my practice as an educator. I have seen much of what she describes as an upper school principal the past six years, although, working in an international school, we can deal with it much more effectively than in large, US, public schools. It always shocks me how often people bring lawsuits against schools in the USA. The educational research shows 75-90% of students do not bully at all or with any regularity. This is a problem for a small segment of students. However, mutual aggression is common and is a natural part of teenage social dynamics, with the drama that comes with these conflicts. Teenagers are competing to move up on the social ladder and this is hugely important for them. The original research on bullying, including the term bullying, is from the Swedish psychologist, Dan Olweus who was the first to scientifically study starting in the 1960s. He came up with a good definition that still holds true today: there needs to be a power difference between the parties, verbal or physical aggression, and sustained over time. Educators need to use the term “bullying” sparingly and use it only in situations that fit with this definition. 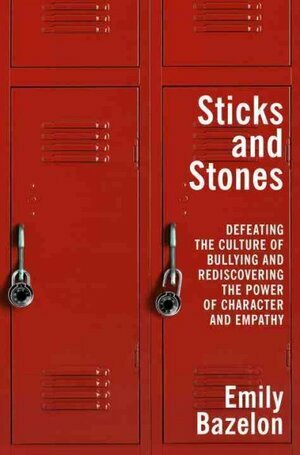 Schools can reduce bullying and aggression significantly through a comprehensive program of character development. Schools are being asked to do more in the areas of educating students to develop better relationships with others, making ethical decisions, dealing with setbacks, finding happiness, etc. There is a fine line between parents and teachers allowing teens the opportunity to solve social dynamic problems and monitoring for serious aggression that will do some students great harm. Teaching students to be kind, show empathy, and demonstrate humane social etiquette is time well spent! The school culture plays a big part in what is acceptable behavior for the group. Getting students to realize that insults and exclusion should not be tolerated and encouraging them to step forward to help a fellow student when they are victimized is key for schools. The internet has brought another layer to this teen social aggression. Almost more happens on line than in school and teachers and parents need to deal with this. I am a firm believer in supporting students in making good decisions with their on line interactions and even though much of these incidents occur outside of the school, schools communicating with parents are the best way to help them. I admired Bazelon’s attempts at getting Facebook to own up to this problem and to do more for teens that are hurt by spiteful comments. Facebook is making a lot of money off of teens and not giving them enough help. The first step for any school is to get data from the students and faculty on what are the behavioral issues and the extent of social aggression in the school. This can be done through surveys of students. Bazelon suggests using the resources of Positive Behavioral Interventions and Supports (PBIS), which is an US Department of Education program to help schools with discipline, and it is focused on students with disabilities, but it can help all students. Schools should not ignore bullying or cruelty and deal with instances when they come up. In a case of bullying, never get the two parties together to work it out, as there is a big social power difference between the two and it won’t work. It is important for schools to understand the context of bullying and to be proactive, preventing future incidents. Bazelon’s opinion of suspending bullies is that it does no good and instead for schools to take an education approach instead of punitive. I disagree and feel that at an international school, an occasional suspension sends a message to the community that bullying is not acceptable. Of course with a suspension, a school should also deal with the student in the counseling realm as well. This book will hold a place in my library and I will be referring to it from time to time. She also gives a ton of resources at the end of the book that can help schools in dealing with discipline. Thank you Emily for this important work! Bazelon gave a long interview to NPR’s Terry Gross on the program Fresh Air and discussed the book.